In trying to find creative ways to be healthier and more active, I came across a Red Frog event – the Illuminite Run. As I scanned the pictures and information on their website, I thought it would be interesting and fun. Little did I know that “interesting” and “fun” would turn out to be huge understatements. The Illuminite Run is a 5K nighttime run along a pathway lit up with multi-colored lights. Runners are encouraged to wear glow in the dark outfits and are given glow sticks and other illuminating objects to carry. The thousands of glow sticks and flashing outfits help to brighten the path. I ran with my brother -in-law, a photographer whose work can be found at DrinkandSmile.com. While he ran with his very large camera, he somehow didn’t look out of place among some of the craziest outfits ever to be worn on a run. There was the pack of women with flashing spiked hair, the group of bookworms with glow in the dark Harry Potter glasses, and everywhere neon glow sticks…stuck to clothing, in shoes, hanging from ears and necks, and being twirled through the air. As we ran, we encountered a lot of enthusiastic runners who whooped and hollered at everyone who passed by and at the volunteers who helped direct us on our way. In the distance, the thumping beats of the DJ preparing for the after-party could be heard. As we came close to the end, my brother-in-law mentioned that he couldn’t believe that the run was over so quickly, and neither could I. The time and miles flew by. There were so many interesting people to look at and talk to as we ran that it didn’t seem like we were even exercising. It was by far the easiest 3.2 miles I have ever run. My wife and 3 kids also came along – not to run, but to encourage the participants as they started and finished the run. Once the run was over, the participants and spectators gathered together for a glow-in-the-dark dance party. (Note, it was not a Rave, as the website warned ahead of time.) My kids, even though it was way past their bed time, loved the party atmosphere. They danced, played around, and gathered discarded glow sticks, which lit our house with an eerie glow when we got home. I’m not sure who had a better time, me or my kids. 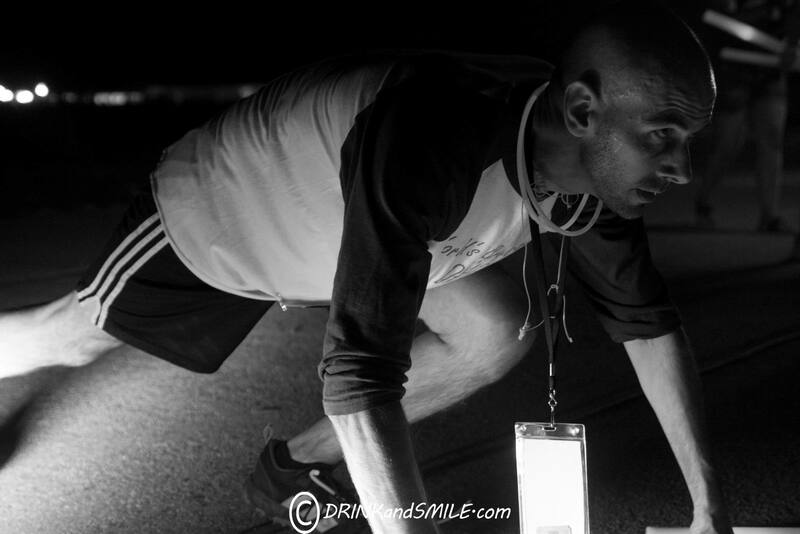 I was very impressed with the Illuminite Run; it was well-conceived and well-organized. I’ve never experienced anything like it and I would encourage others to join in the fun when they come to your town. I’ll be back and next time I’ll be rocking my own glow-in-the-dark costume. Sounds like you had a great time. It’s so good to see you are able to include your family in all of your events. By the way, does this run mean you are now a member of the “Luminati?” Ha ha. Looking forward to seeing you all tomorrow or Friday.